Hello and a big warm Monday welcome, I hope you all had a fabulous weekend. 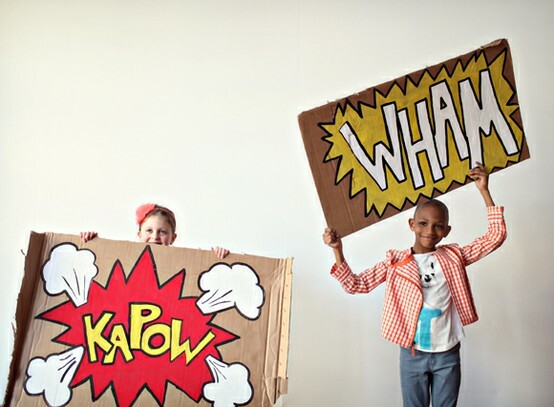 Today we are donning our capes and sharing our super powers. 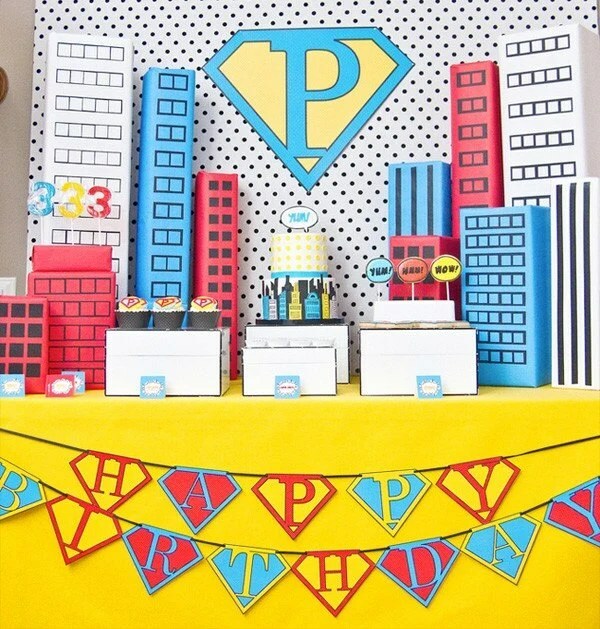 Children love pretending to be superheroes and this whole make believe world lends perfectly as a birthday party theme. 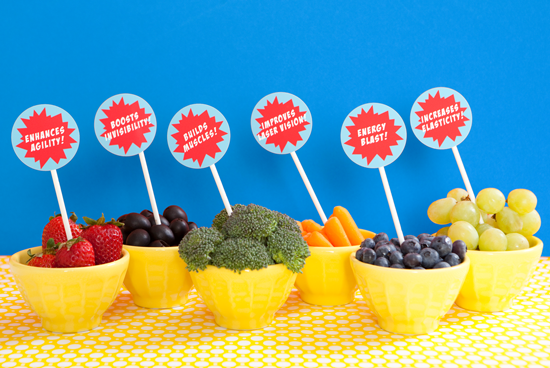 With the primary colours as the palette for this theme you can easily add to your ideas, perhaps with red, yellow and blue plastic cutlery or bowls or by making a blue cape with your childs inital on the back in yellow and red. 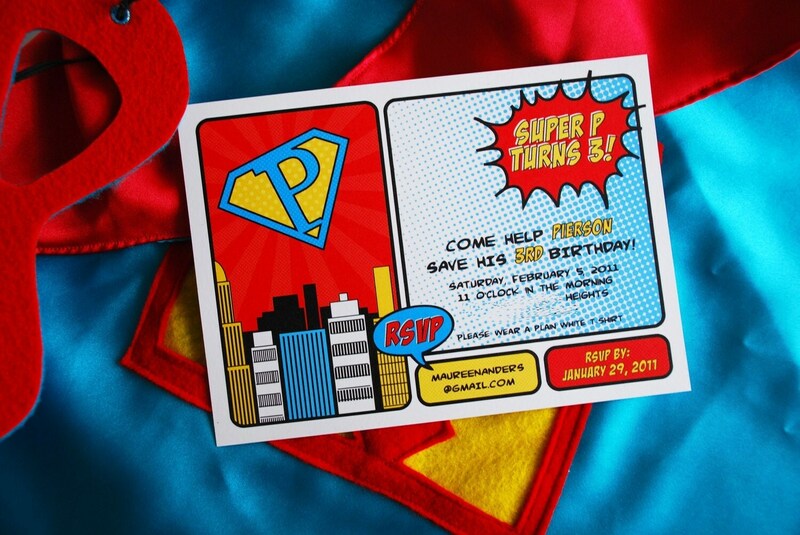 But let’s start with invitations and printables. 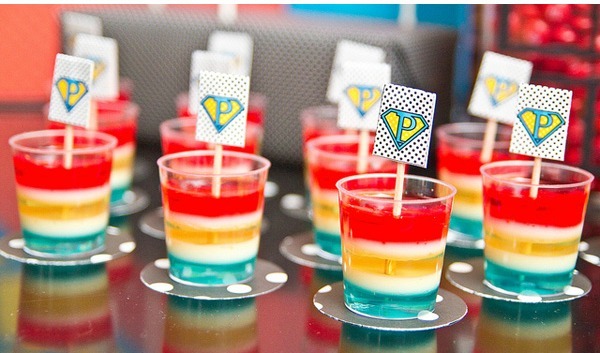 Superheroes need lots of energy as they never know when their powers will be required. 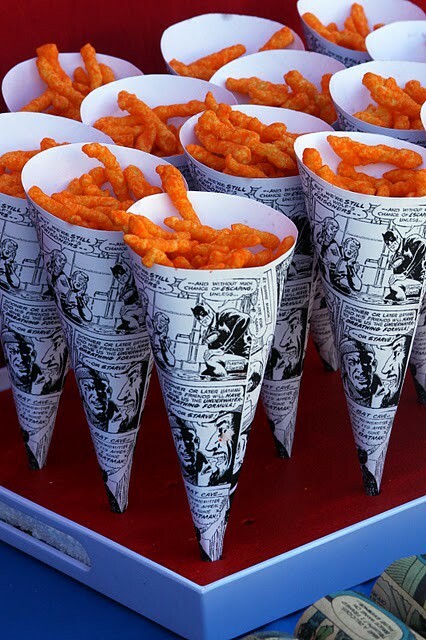 Serve healthy snacks or fuit and veg along with stripy jellies and star shaped sandwiches and serve crisps or popcorn in comic book papercones. 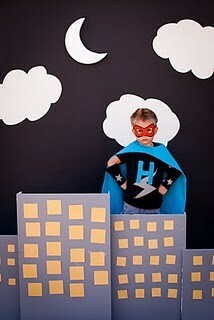 Have some fun with props for your superhero photos! 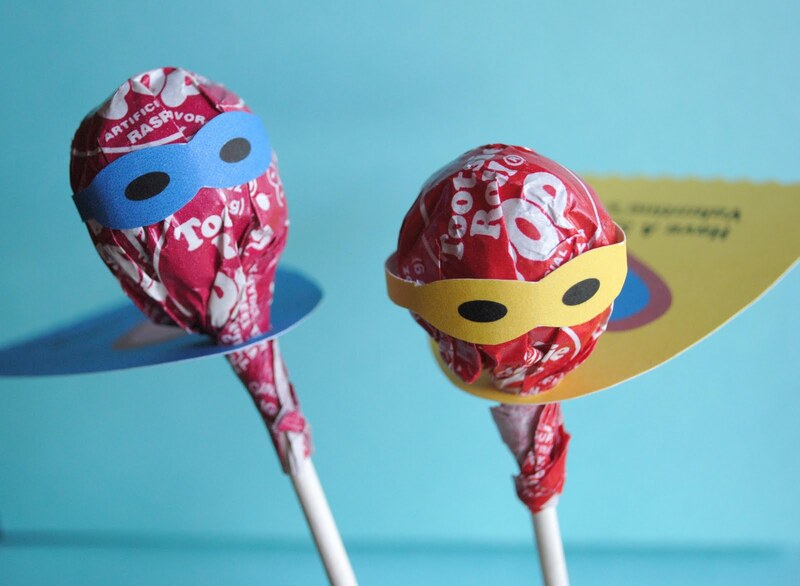 After some games worthy of superheroes, perhaps musical superman instead of statues, you can send everyone home with a new mask and superhero lollipops. 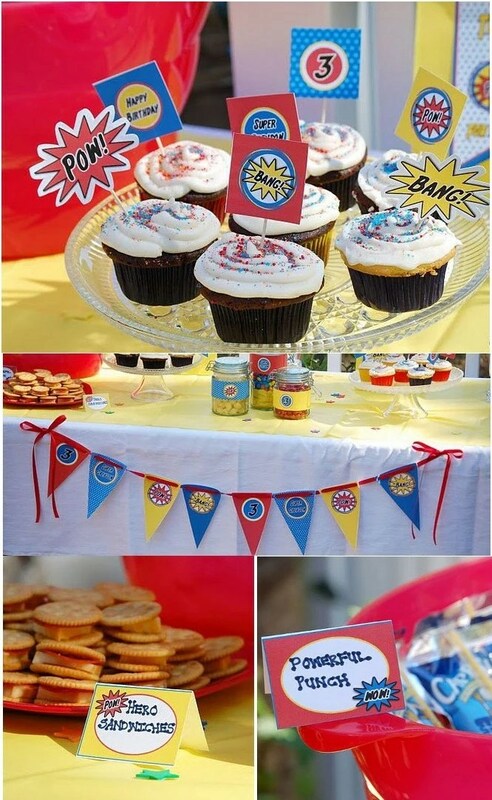 I hope your little superheroes have lots of fun and be sure to share your superhero parties with us. 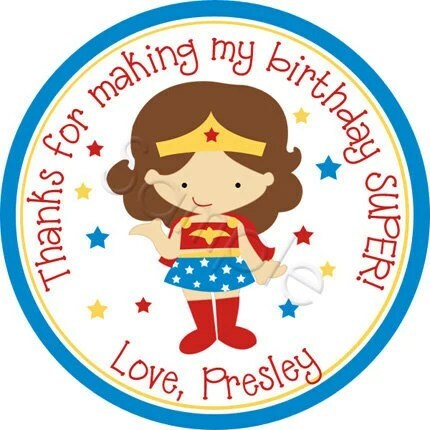 Now I’m off to find to find my Wonder Woman cape!! Back soon.